Longines is the Official Timekeeper of the Breeders’ Cup World Championships this weekend in San Diego. With a long involvement in the equestrian world, ad as the Official Timekeeper of a host of equestrian events around the globe (including the famed Kentucky Derby), Longines will be highly visible this weekend in San Diego as the Official Partner, Timekeeper and Watch of the Breeders’ Cup World Championships, a thoroughbred event. 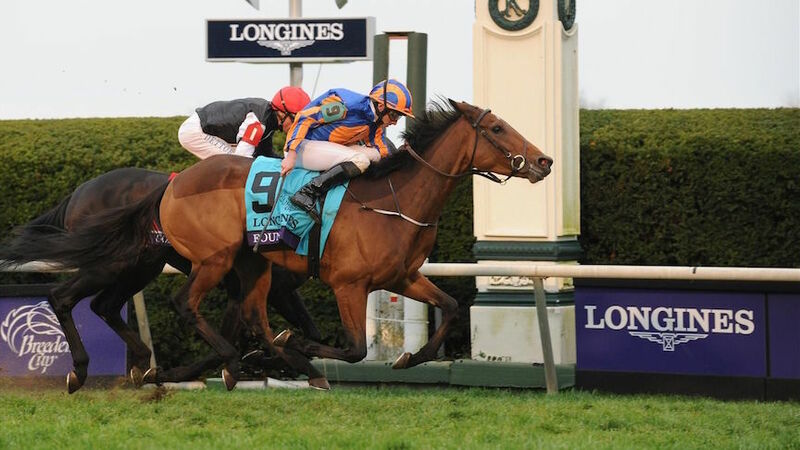 The Breeders’ Cup World Championships take place at the Del Mar racetrack November 3 and 4 and promises to be incredibly exciting. In addition to the Breeders’ Cup race, Longines is also the Title Partner of the Distaff race and of the Turf race. The Longines Master Collection blue dial is the Official Watch of The Breeders’ Cup World Championships. This 42-mm steel model features a sunray blue dial. It is powered by an automatic L888 caliber. The Longines Master Collection with blue dial will be the Official Watch of the Breeders’ Cup. 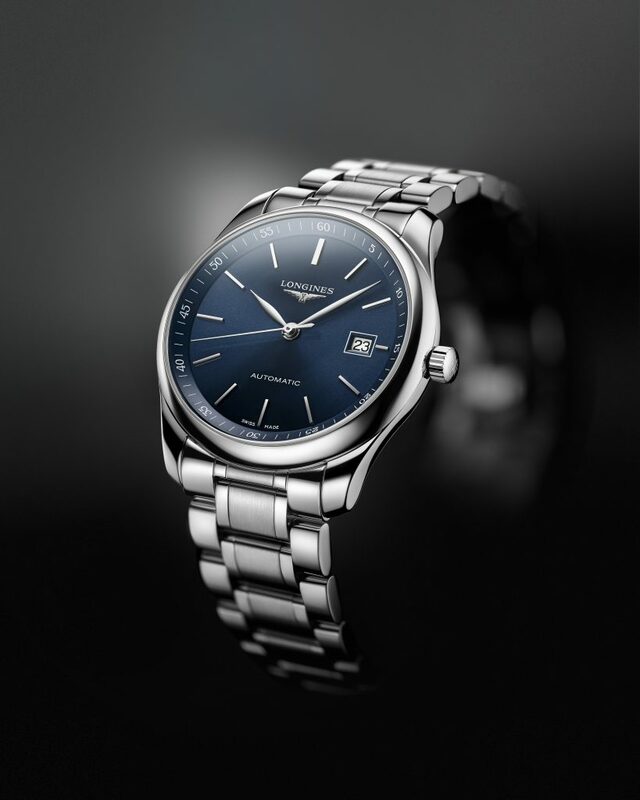 For more than a decade, the Longines Master Collection has been a favorite among watch lovers thanks to its classic elegance – a theme embraced by Longines. The newest pieces in the collection feature blue or gray dials, and the sunray blue-dial versions – men’s and women’s — are the alluring Official Watch. Sold with either an alligator strap or a polished and matte stainless steel bracelet, the new blue Master Collection watches are offered in a 25.5mm size for women ($1,850) and a 42mm size for men ($2,250). Automatic movements that are visible via the transparent case back power the timepieces. 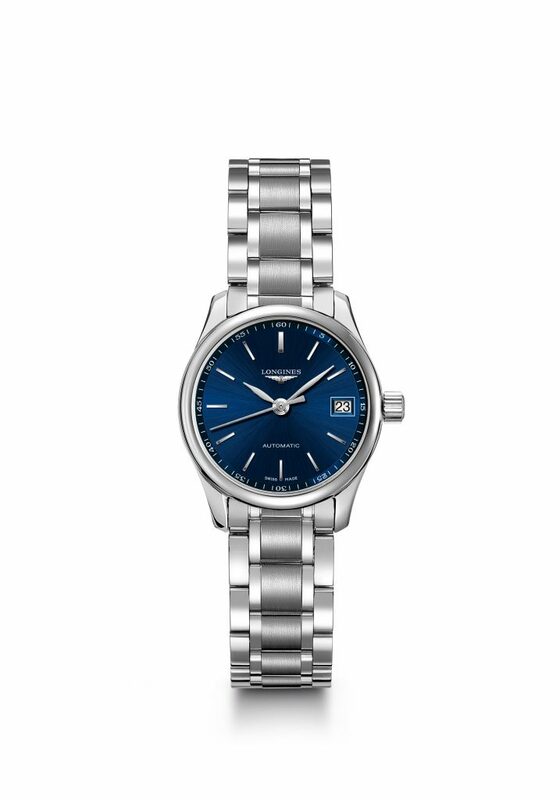 This women’s Longines Master Collection watch measures 25.5mm in diameter and is crafted in steel with blue sun ray dial. It is equipped with the automatic L592 caliber. As with all of Longines’ equestrian sponsorships, the winning owner, breeder, trainer and jockey of each of the three races will receive a Longines timepiece.